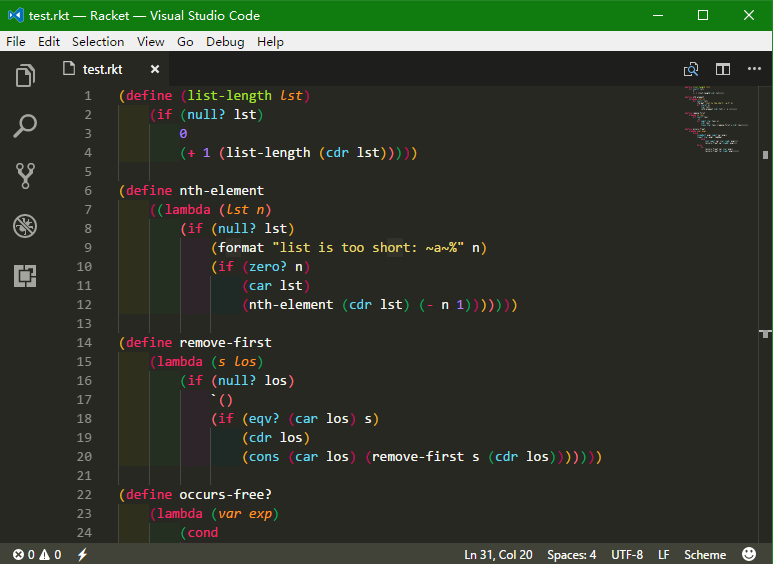 Visual Studio Code>Programming Languages>vscode-cultNew to Visual Studio Code? Get it now. Forked from https://github.com/sjhuangx/vscode-scheme This extension add Scheme language support to VS Code.